Far Cry Primal, the latest entry of the series recently released in all regions on consoles and PC, is soon going to get a few additional features in the next few days, thanks to a new free update. The new Far Cry Primal free update has been detailed earlier today by Ubisoft. The publisher has confirmed that the brutal Survival Mode will be added on all formats on April 12th. This new mode promises to be quite challenging, with permadeath, stamina gauge and much more. The biggest such option is the addition of permadeath. If you felt the stakes weren’t high enough before, you can now turn on full permadeath, which means your game is over the first time you die (except in vision missions, which aren’t “real”). If that seems too abrupt, there’s also a second-chance option that gives you one backup life, which is then replenished at certain completion points. Permadeath is only the beginning. Survivor mode adds a stamina gauge, making protagonist Takkar slower and weaker when it runs out, and forcing him to sleep in order to replenish it. The minimap is now turned off by default, pushing you to pay more attention to your surroundings, and the fog of war has been strengthened, lessening the amount of the map you reveal as you explore. You’ll encounter humans and animals less often as you explore, which means hunting takes a little more patience. Even fast travel is a little tougher, as it now consumes stamina and food. 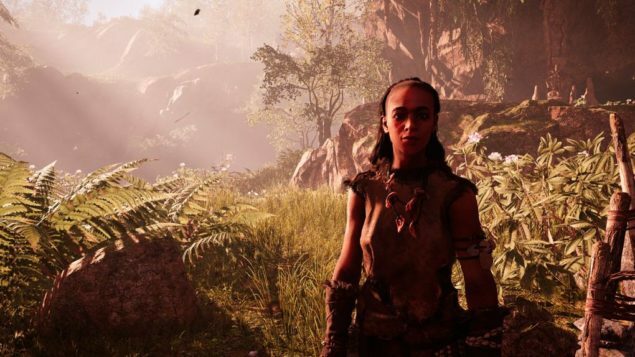 Survival Mode isn’t the only addition coming with new Far Cry Primal update. Ubisoft also confirmed that 4K texture will be added to the PC version with the free update. Far Cry Primal is now available in all regions on PC, PlayStation 4 and Xbox One. The new update will be released on April 12th on all formats.